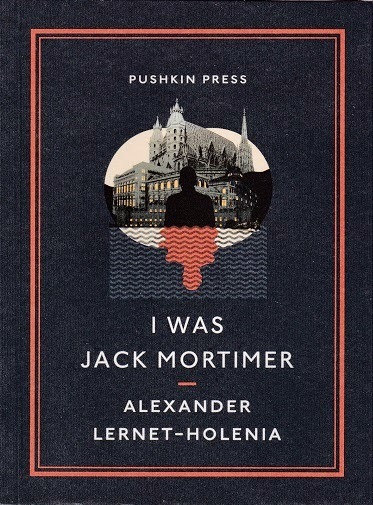 Published last year by the ever impressive Pushkin Press, once hooked I raced my way through this novel originally published in 1933 as Ich War Jack Mortimer and translated by Ignat Avesey. It could slip into the genre of being a thriller although it's a highly original one. The character at the centre of this novel of misappropriated identity is Sponer, who lives a somewhat uneventful life as a taxi driver, he has been in a slightly stagnant relationship with Marie Fiala, at the end of a night out with her the relationship is described as - It was the end of a love affair that just would not end. At the beginning of the novel Sponer becomes infatuated with a fare, Marisabelle Raschitz, a woman who is a few scales up the social strata than he, in the end he is chased off by Marisabelle's brother. The first part of the novel follows Sponer picking up fares filling in the details of his somewhat non-existent life, until he picks up a passenger who Sponer realizes is being non-responsive to his questions. After hearing what he thinks is a truck misfiring he turns to realize that the passenger is slumped over, shot dead. There are some fragmentary scenes where Sponer hypotheses reporting what has happened to the police, these seem to overlap with Sponer beginning to realize that he will be suspect number one in any subsequent investigation and he begins to analyse the possible outcomes of his course of actions, how to cover his connections with the dead passenger - Jack Mortimer. Halfway through the novel the narrative turns in telling how Jack Mortimer came to be in the taxi, without wanting to divulge too much of the plot, his story begins on a different continent, then through Paris to Vienna, another character prominent in Jack's story is Montemayor a successful singer, whose wives Jack seems to have the knack of pinching. The story picks up with Sponer again when he decides, or perhaps the circumstance pushes him into taking up Jack's identity in the Hotel Bristol where he begins to receive calls from an unknown woman, the two stories ingeniously begin to connect. I Was Jack Mortimer at Pushkin Press.